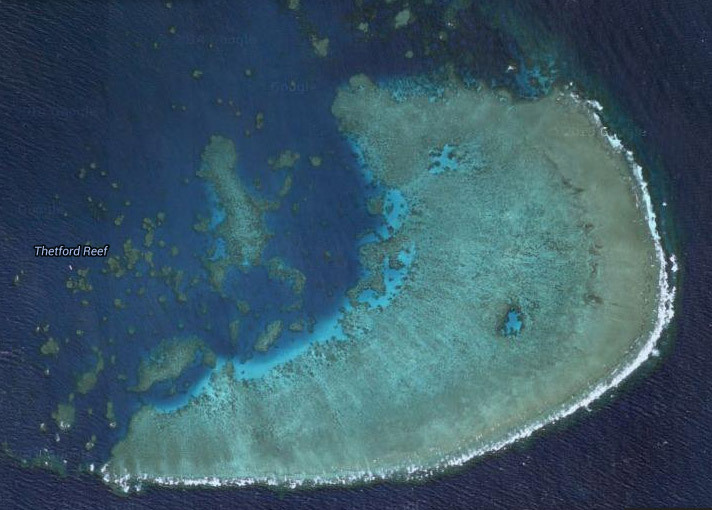 As shown on the satellite image below, on it's western side, Thetford Reef features many large bommies and coral outcrops that provide numerous exciting swim throughs. 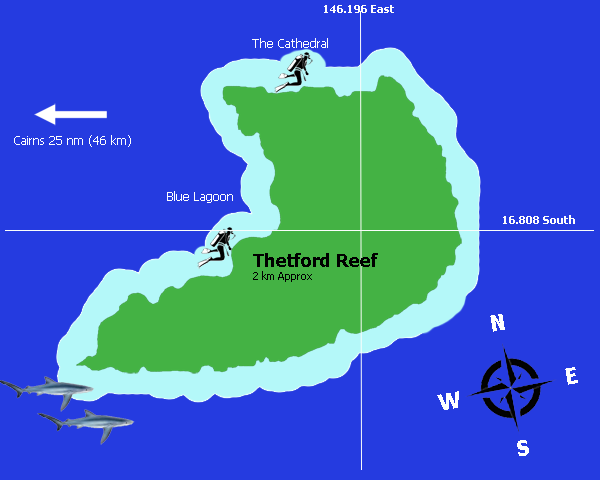 The Cathedral and Blue Lagoon divesites are particularly excitng and divers can enjoy wall diving on the 25 metre drop-off edges of the reef. Divers need to be cautious when heading through the bommie swim throughs because fragile gorgonian and fan corals grow there in abundance. Marine life: In the smaller coral patches look for giant clams, butterflyfish, rabbitfish, damsels, angelfish and pipefish. Anenomes with resident clown fish and chistmas worms in the boulder head corals make for interesting snorkelling.